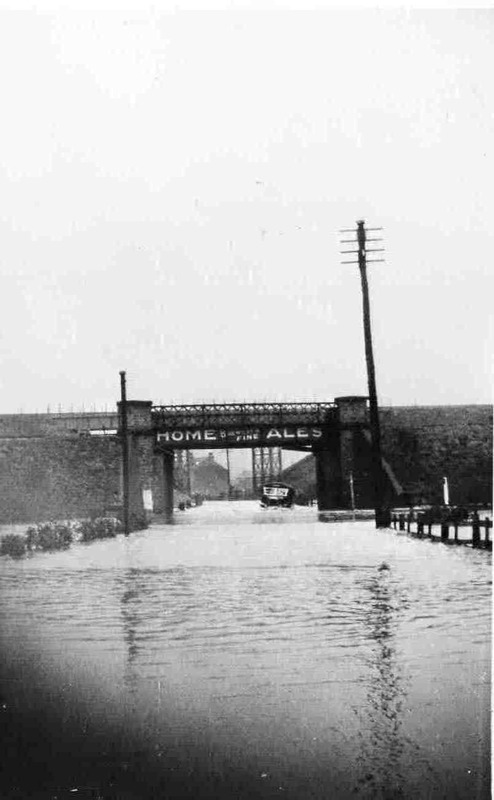 Floods 1931-32. Vehicle stook at the bottom of Station Road. Photo courtesy of V. Hopkinson.